Sweet cherry blossom… now you can experience the Sakura Paper Fantasy to celebrate Spring in Japan. Tokyo Street is transformed into a paper wonderland with sakura flowers, leaves and lanterns hung all around to celebrate Spring. 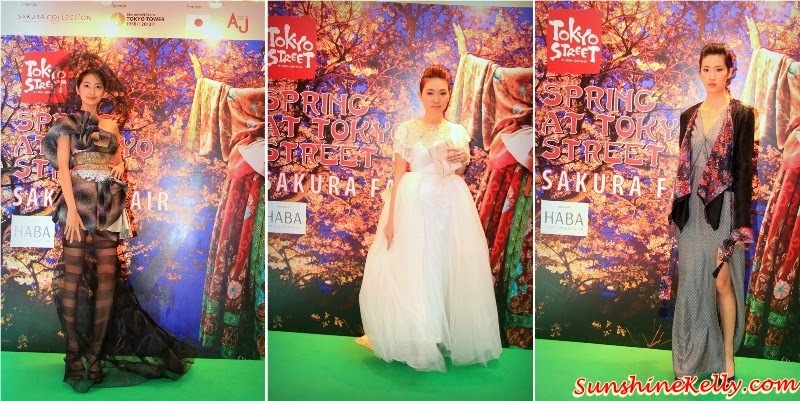 To kick-start the Spring celebration, Pavilion Kuala Lumpur in partnership with Sakura Collection, Tokyo Tower, Japan Embassy and Adventure Japan, launches the third installation of the Sakura Collection 2014 Asia Student Awards. 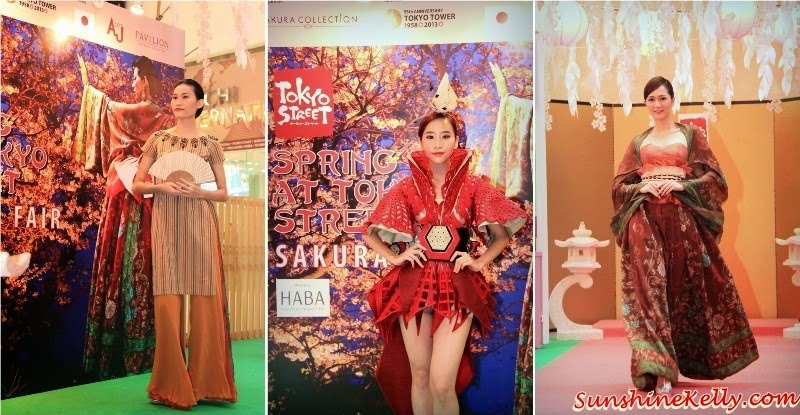 Fashion showcase featuring Japanese-inspired pieces from Asia’s Top designers, featured in the 2013 Sakura Collection Fashion Show in Japan. 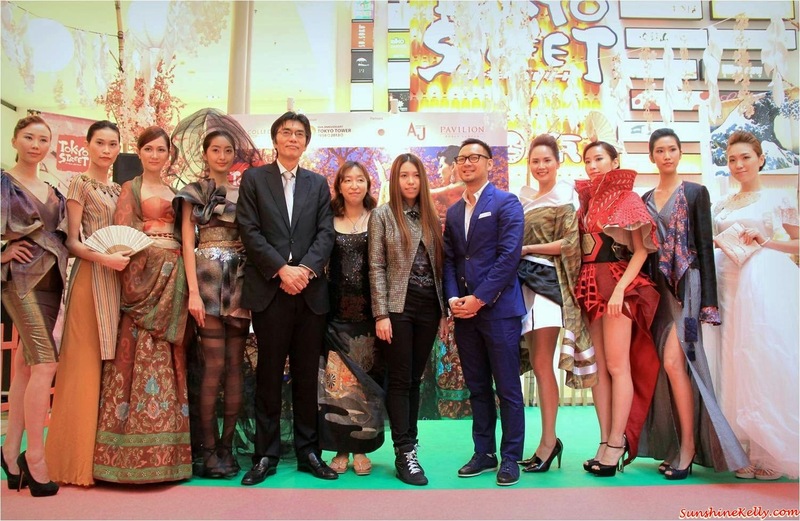 Thailand, Vietnam, Indonesia, Singapore, Malaysia, Philippines, Korea, and Japan were the countries represented in a fusion of Japanese dresses. 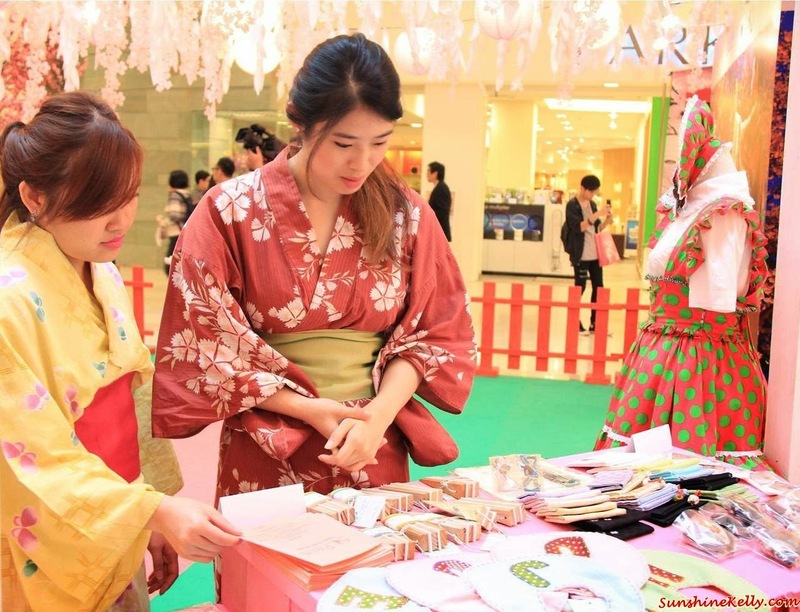 The Sakura Fair which included special flown in items from Japan such as yukata, yukata belt, Japanese sandals and many others. Also there were items made by Tohoku tsunami survivors in Japan with all proceeds going towards their charity fund. Great to see me and my designs with others interesting photos in your post.